Christopher Pugsley is Senior Research Fellow in the Humanities Research Institute and teaches on the University’s programmes based in London. He is a Senior Lecturer with Special Responsibilities in the Department of War Studies, Royal Military Academy Sandhurst. A former infantry Lieutenant Colonel in the New Zealand Army, he was commissioned from the Royal Military College Duntroon and attended the British Army Staff College at Camberley and has held appointments at universities in New Zealand and Australia. He received his PhD from the University of Waikato with a thesis on the discipline and morale of the New Zealand Expeditionary Force in the First World War. He is an Adjunct Professor in the School of Humanities, University of Canterbury, New Zealand and is a Distinguished Alumni of the University of Waikato. He received an ONZM (Officer of the New Zealand Order of Merit) for service as a military historian in the 2015 New Years Honour’s List. 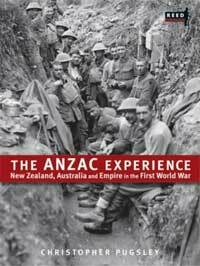 A specialist in New Zealand, Imperial and Commonwealth military history in the 19th and 20th Centuries, Professor Pugsley has a special interest in the application of combat power and its relationship to training and reinforcements, the evolution of tactical doctrine, command and leadership and coalition command relationships. 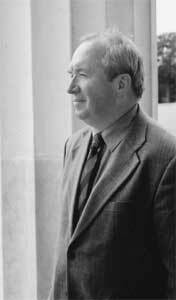 He has published widely on these topics and his publications include, Gallipoli: The New Zealand Story (shortlisted Watties New Zealand Book of the Year 1984); On the Fringe of Hell: New Zealand and Military Discipline in the First World War (1991); From Emergency to Confrontation: The New Zealand Armed Forces in Malaya and Borneo 1949-1966 (shortlisted Templer Medal 2004); The Anzac Experience: New Zealand, Australia and Empire in the First World War (shortlisted Templer Medal 2005, Finalist in History, Montana New Zealand Book Awards 2005). He has published on the American breakout in Normandy and co-edited Sandhurst: A Tradition of Leadership (2005). 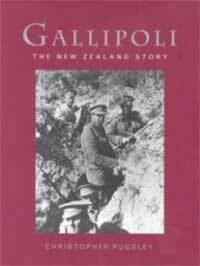 He has recently completed a study of New Zealand Film 1895-1920 and his most recent book is A Bloody Road Home: World War Two and New Zealand’s Heroic Second Division (Penguin New Zealand, 2014), 624 pp. Professor Pugsley has coordinated battlefield tours and campaign studies throughout the world including: Malaya, Singapore, New Zealand, Egypt, Tunisia, Crete, Turkey, Italy and Northwest Europe. He has written and worked for television, film and radio. He is an adviser to the New Zealand Film Archive on their First World War footage and is a former consultant to Archive New Zealand on the National Collection of war art. He has acted as curator for major travelling exhibitions in New Zealand and overseas relating to the two world wars, and was Creative Director for the redesign of the Second World War and post-war galleries for the Auckland War Memorial Museum. Professor Pugsley supervises MA and doctoral research on 20th and 21st Century warfare and military history.